Observing minor discomfort without indulging in our compulsive urge to relieve it is an interesting exercise that can show us a lot about how our minds react to physical (as well as mental and emotional) pain. The aim with mindfulness of physical or mental pain is always to develop understanding that helps us more skillfully regulate– find more equanimity in the midst of unpleasant, difficult circumstances. 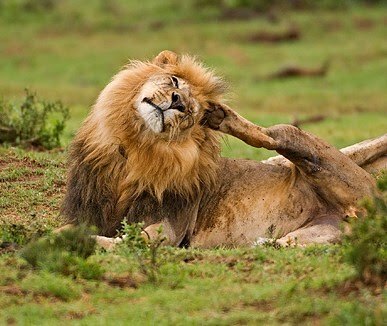 Say you have an itch. Scratching it is an example of regulating by addressing the source of the discomfort; but unfortunately, not all pain can be so easily relieved. In order to better deal with less controllable situations like chronic pain, habitual emotional stress, or the unpredictable circumstances of life without indulging in harmful forms of regulation (like acting out in rage, or over-indulging in tranquilizing substances), it can be helpful to learn about our mental agitation around pain and discomfort.. and we learn the most by observing ourselves directly! – That the sensations are not just “one solid thing” as the mind usually thinks of them– an itch, a pain in the knee, that problem with my back– but that they consist of a whole lot of smaller sensations that move, change, subside, etc. When we step away from believing in what our minds are assuming about the discomfort and look at what it actually IS– we’re getting the information that undercuts our strong conditioning to be aversive to discomfort. We might even get interested in it! – This attitude shift from aversion to curiosity/interest has a relaxing effect on the subjective experience of discomfort. There is quite a bit of research now (here’s one recent study) that shows cultivating a less resistant attitude toward physical pain results in the subjective experience of pain reduction. When we “hate” pain and are aversive to it, when we fear it etc., that mental tension often causes the body to tense up too, which can make the pain feel worse. Because of the excellent outcomes of research exploring alternative treatments for chronic pain (many of which involve mindfulness), there are now some hospitals and clinics experimenting with non-opiod treatment protocols for certain types of chronic pain. For a summary of recent study on meditation and pain, see this article in Psychology Today. – Besides seeing/feeling the exact nature of the sensations themselves, we also get the chance to see clearly how our mind responds to discomfort. Discomfort often sparks irrational thoughts that we can look at with skepticism instead of letting them run us unconsciously. Here’s an itch (that must be scratched! ), a pain in the knee (what if I’m injured?? 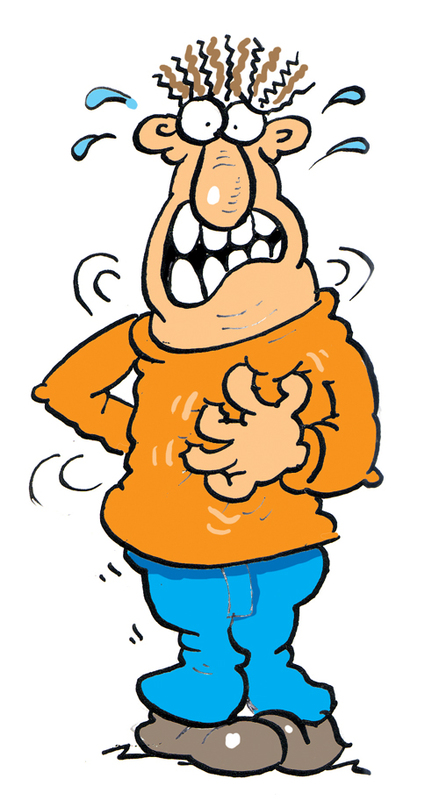 ), that problem with my back (that will never go away and is ruining my life! ), etc. We can look at these secondary reactive thoughts in the mind and see whether believing in them is easing or worsening the pain. Does believing in the thought that I might die from a skipped heartbeat help regulate and calm my heart? Or does it make things worse by driving new waves of anxiety that increase heart rate? (This is an example from my own experience with anxiety about body discomfort). To introduce skepticism and a mindful “space” around these knee-jerk reactive thoughts is empowering; not only does it help relieve the pain itself, but we can then choose to step in with self-soothing thoughts or otherwise regulate more skillfully. I’d like to add that working with thoughts in this way is a training. We are so conditioned to believe everything the mind is telling us that it takes some time to be able to see the thoughts clearly without getting riled up by them; and/or to be able to observe the riling up with a bit more awareness and less involvement. This takes time, practice, and patience, but it doesn’t need to take all that long, with a diligent and sincere practice. One person I worked with recently, who’d only been practicing mindfulness for a couple of months, heard the instruction to experiment with not scratching an itch right away but instead to try watching the body and mind while in the midst of an “itch” experience. Suddenly he found he was afflicted with itching every time he sat down to practice! 🙂 So he got to look at itching a lot. Sometimes he noticed the itch would pass on its own without scratching, and sometimes he would scratch it and feel the relief, but either way, he was learning that mindfulness gave him more options and a different way of relating to his mind. He learned through direct observation that he didn’t need to buy into the mind’s strong impulse to relieve the discomfort, that there were other possible ways of relating that also led to relief. So then one day he found himself in an argument with his girlfriend, and his usual less-than-skillful habits of regulation kicked in (to yell, to leave slamming the door, etc.) and instead he recognized that he could practice mindfulness with this anger discomfort the same way he’d practiced with the itch discomfort. He stepped away from the situation for a moment, found his mindfulness, calmed himself, and saw directly the hurt that was underneath his angry response. He was able to communicate his feelings clearly and without blaming his partner, who responded positively to his vulnerability and honesty. So this new regulation skill also led to improved harmony in his relationship. The implications of this practice for someone in addiction recovery are analogously helpful. Learning to refrain from following the urge to, say, scratch an itch, to stabilize one’s attention on the process of itch/urge to scratch with allowance and curiosity, to notice that the itch dissipates on its own after a brief peak of discomfort, helps reveal a skillful way of relating to urges that are more destructive, like the urge to “scratch the itch” of craving to use one’s drug of choice. There are so many positive outcomes to this kind of learning, so many stories I could tell. But whatever practice we undertake we need to lead with kindness. Observing discomfort can be agitating, especially when we’re first learning how to do it– and we learn by doing in this practice of mindfulness, no way around that! Clearly, we don’t want to agitate ourselves to the point where we become overwhelmed. Mindfulness is not about gritting our teeth and masochistically or stoically enduring pain; that’s just another form of aversion. The intention rather is to see the experience as clearly as possible – the body+mind interactive, iterative process over time. So we can ask ourselves: what supports seeing clearly? To manage overwhelm and see more clearly, may need to “titrate” our mindful attention, shifting our attention away from directly observing uncomfortable objects to be with more soothing objects for a time (like the breath, or sound, or sensations in our feet). Slowly we develop more endurance for looking at discomfort without being overwhelmed by aversion, just like a runner develops more endurance by slowly increasing the distance. It can help to remind ourselves that the aim is not to get rid of the pain, or to fix what we’re doing in response to pain, it’s to OBSERVE and UNDERSTAND pain and our minds’ response to it. Change will happen on its own based on our deepening understanding. And we’ll be learning good stuff whether we mindfully scratch the itch, or mindfully refrain from scratching– it doesn’t matter. What matters is continuity of mindfulness. Thank you Centrino! Thanks for writing.